"A mass demo for climate, jobs, renewables and divestment! The day started with a two car lock on, which kept the gates shut until the crowds arrived. An estimated 200 people came down to the roadside today – many for the first time. We celebrated the resistance so far and heard from a range of speakers about the solutions we need to see and the wider politics of climate justice, and economic and social justice – of which the anti-fracking movement is part." "Many trade unions were represented including PCS, Unite, Unison, the NUT and UCU and their speakers emphasised how the Trade Unions would keep supporting the fight against fracking. 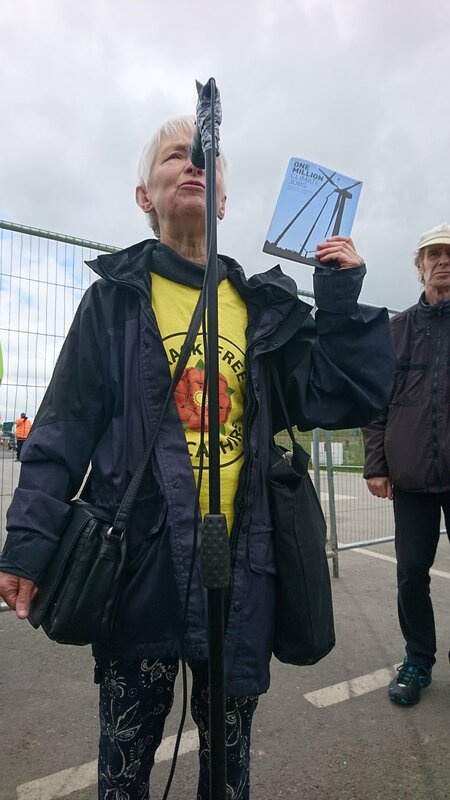 Strength in numbers meant our mere presence shut Cuadrilla’s site down for the day. It felt like a carnival, with singing, delicious food and even some disco yoga and this very positive and powerful day ended with people linking arms in front of the gate." The trade union UNISON has unanimously voted to pass a motion to divest council pension funds from oil, coal and gas. UNISON is one of the two biggest trade union groups in the UK, with over 1.3 million members, and is also the primary representative for local government workers, whose pension funds are collectively worth over £200 billion. 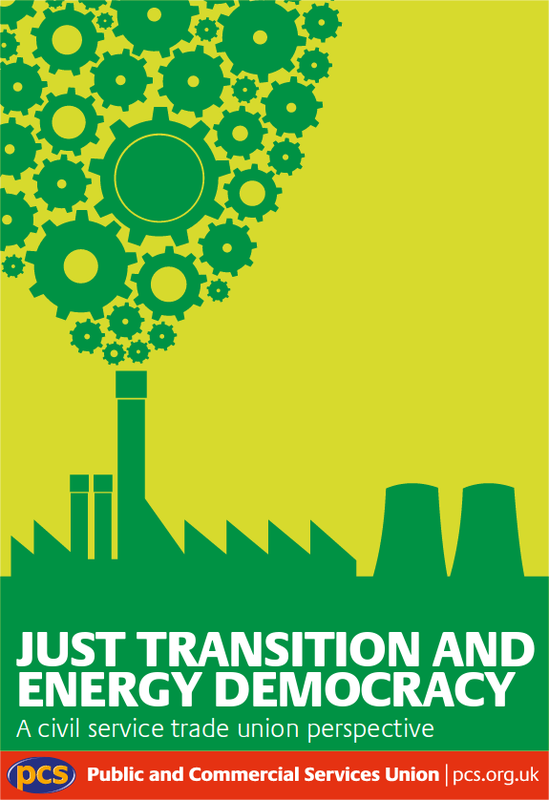 The Public and Commercial Services Union (PCS) has published today a pamphlet outlining the case for a just transition to a 100% renewable energy economy and energy democracy from the perspective of a civil service trade union, based on public ownership and democratic control of energy that provides an opportunity to re-vision and rebuild our public services for people not profit. PCS is developing a programme to distribute the pamphlet across the union, including holding meetings with reps and members to take forward its demands. If you are a PCS member and would like copies of the pamphlet, are interested in finding out more about how you can get involved in promoting and discussing these ideas, please contact Sam Mason at sam@pcs.org.uk.